It can be tempting to overindulge while on vacation, but to feel your best and have the energy to take on all the sights and sounds of your itinerary, eating healthy is key. Whether a snack, a meal, or a lifestyle, eating smart on vacation can help you get over jet lag, wake up more refreshed and feel better throughout your day. Vacations are never long enough, so make the most out of the time you do have by choosing healthier options in your area. 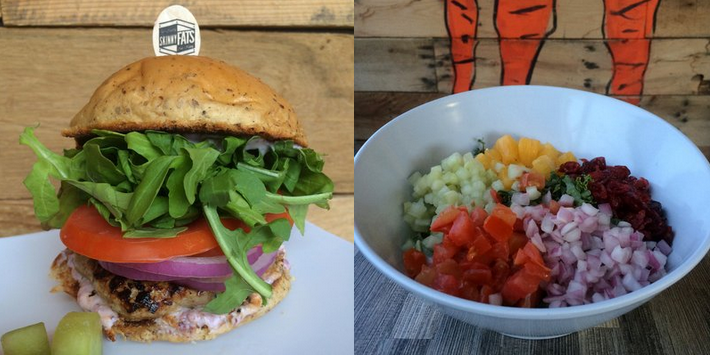 Here are our top locations for eating healthy on the Vegas Strip. Located within the Venetian’s spa, is a hidden restaurant serving some of the best heart-healthy breakfast and brunch options on the Strip. Canyon Ranch Cafe is a customer favorite on Yelp! serving up whole wheat pancakes, vegetarian breakfast burritos and offering a variety of organic and fair trade menu selections. 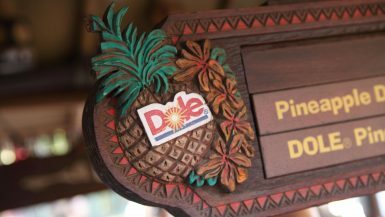 Their claim to fame is their smoothie bar, where guests can customize their smoothie to create the ultimate blend. Using only organic fruit with pure juice, almond milk or yogurt, guests can enjoy knowing they are getting their daily intake of vitamins and minerals in delicious form and at a fair price. For great presentation, excellent customer service, and delicious food, Canyon Ranch Cafe can be a great place to relax for brunch and start your day off right. 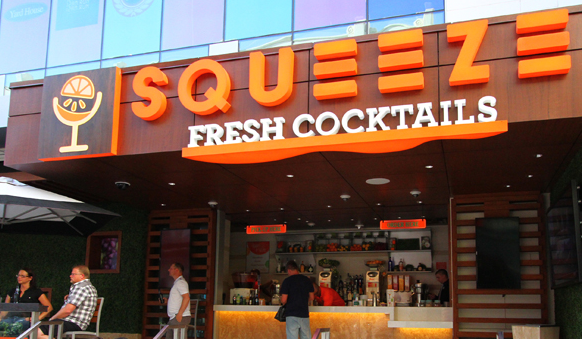 While technically a place to drink healthy, Squeeze is a juice bar and smoothie shop in the heart of The Linq District. Here you can get iced organic teas, hydrate with some coconut water, and boost your system with some fresh pressed juices. Guests can build their own blend, choosing up to five fruits and vegetables or choose from one of the top choices on the menu. Even better? If you or your friends want to have some adult drinks on the healthier side, for an extra amount, you can have alcohol added to your juice to “devirginize” it. In the land of syrups and mixers, Squeeze is a refreshing option allowing you to have only the best. Their watermelon margaritas and sangrias are their claims to fame, with strong pours and fresh juice, all of which is extremely refreshing especially on warm days in the desert. Located between The Linq hotel & Flamingo, you can pull up a seat at their outside kiosk, have some fresh juice and enjoy people watching or viewing the game at this fresh-picked spot. Affordable and vegan? Yes, please! Here, you can ensure you get the maximum amount of fruit and veggies, with their healthy meal options and snacks. Craving something fulfilling? 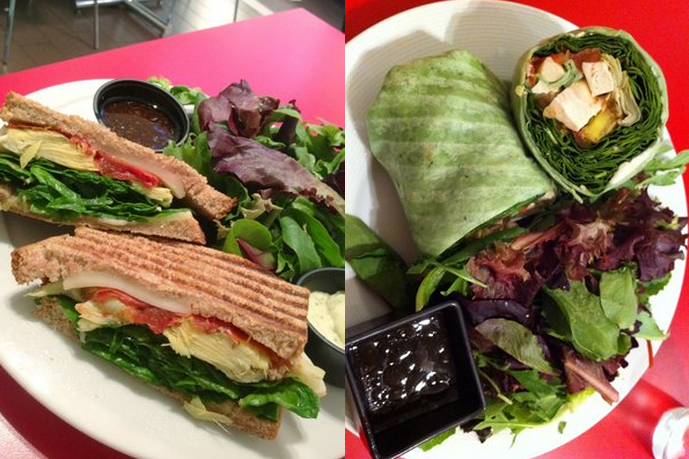 Their veggie wraps are on point, and their veggie paninis include all the colors of the rainbow including fresh greens, artichoke hearts, and tomatoes with low-fat mayo on the side. The food is delicious, but they also offer fresh organic juices and healthy low-calorie desserts, including their $1 cookies that are just 27 calories each. Offering both cafe style food to go, and sit down service, this quaint cafe located inside the Vdara hotel and spa is great if you’re craving something healthy while in the City Center. Here you can get quality quick eats such as parfaits and salads to-go, but if you have the time I highly suggest pulling up a chair and enjoying what their staff can make in-house for you. For breakfast, you can enjoy some of the best three egg white omelets on the Strip, that come with spinach, tomatoes, mushroom, ham and whole wheat toast for $14, along with some delicious egg benedict options and their customer favorite smoked salmon among others. Lunch and dinner options are equally on point, with large serving sizes and fresh ingredients. Their warm goat cheese salad is ordered frequently, and if you’re a fan of fresh cold-pressed juices, you can grab a glass with your meal anytime throughout the day. This is my go-to restaurant in Vegas and for good reason. 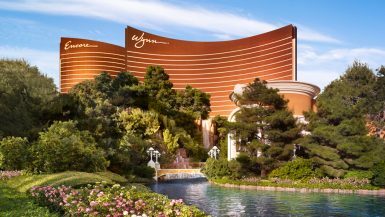 Overlooking the MGM Grand Pool Complex, this restaurant serves spa-style food in a relaxed, casual setting with excellent service and only the freshest ingredients. It’s located directly past where they check for pool keys, but if you let them know you’re eating at the restaurant, I’ve never heard of people not getting in, and bonus that you can swim in their amazing pools after. Breakfast starts at $8 with the largest fruit granola parfait I’ve ever seen, and lunch starts at $10. Their breakfast burrito and Caesar’s salad are my personal recommendations, but everything here is fresh, delicious and never frozen. If you want to take in the views, grab a delicious meal and go swimming before or after, this is your place! Similar to Canyon Ranch mentioned above, here you can get organic, fair-trade food that’s equally delicious as filling. Located on the third floor of the Palazzo, there’s a variety of options for whatever you’re craving, and all calorie counts are listed if that makes choosing easier. Most menu options are 200-400 calories, with everything heart-healthy. Here you can find almond butter, sprouted grain bagels, and stevia as your sweetener if that’s any indication of how everything down to the small details is health-based. For breakfast, if you love avocado their Sonora Scramble is on point, while the turkey wrap for lunch is extremely generous in portions and the side salad of pineapple and jicama is light and refreshing. Located on the south end of the Strip, Veranda is an exceptional restaurant worth making a trek for. Open breakfast through late night dining, Veranda is the most expensive on the list, but whether you want a quality meal or want to simply stop by to sample their happy hour offerings, there’s something here for all budgets and personal preferences. One thing you’ll notice is how fresh all of their ingredients are. Their salad trio is great if you want to sample a bit of variety, and every bite tastes like the ingredients were just picked straight from their garden. 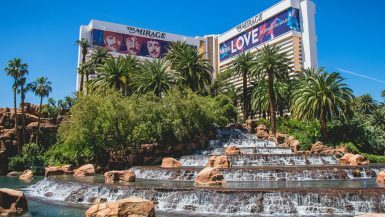 For breakfast, their homemade granola with yogurt and honey is on point, and for lunch, you’ll forget you’re in Vegas and assume you’re on a tropical island with their shrimp tacos loaded with mango pico de gallo, avocado cream and jicama slaw. Bonus? For desert, instead of sugar-loaded dishes, Veranda offers the most beautiful (and delicious) fruit kebobs on the Strip. They’re loaded with fresh fruit and are excellently presented if you’re all about taking food photos on vacation! Located a short drive off the Strip this Best of Las Vegas award winner is a local favorite as well as a Yelp! top reviewed spot. Serving “healthier” options of American classics, SkinnyFATS is a dream come true if you care more about quality ingredients than calories. Known for their Cranburkey burger, they serve freshly assembled turkey burgers with arugula, tomato, red onion and cranberry basil yogurt on a honey whole wheat bun with a side of slaw tee among 50+ other burgers, salads and appetizers. Atmosphere here is amazing, with colorful walls, positive messages, and creative designs to make this restaurant an Instagrammers dream. Their restaurant is worth checking out, but if you’re pressed on time or would prefer to stay on the Strip, they do deliver! A great alternate to room service, you can get quality food starting at $7 which will give you some spare change to try their fresh-pressed juices or delicious floats! 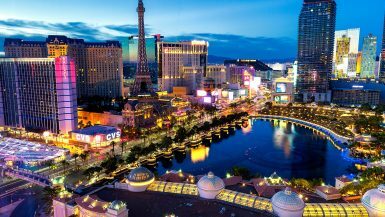 Where’s your favorite place to eat healthy in Vegas? Vegans and vegetarians unite at Red Velvet Cafe, a Vegas fave among the healthy crowd that’s also inside the Fashion Show mall.